How to Have A Quick Payback on Any Game We Buy When It Comes to Redemption? Placing new games in high traffic areas is paramount to having the most eyes see them. Many game manufacturers are also developing games that are bigger and brighter than ever before. Features like LED lighting and large LED displays are becoming the norm. Having these newer machines in areas of the arcade that will get the most foot traffic and visual noticeability will generate a higher return on investment, who makes game selections based on a few different factors that read like a secret to success for any smart arcade operator. It is believed that a distinguished amusement equipment manufacturer that has years of experience in producing arcade machines will do so in higher quality, therefore games manufactured by the top companies will hold a slightly higher preference to the operator. Another consideration: whether a user stands, sits or can interact with the game. The games here range from sit-down driver games to shooter and pinball games. Generally, arcades have a 70 to 30 redemption/non-redemption spilled nowadays because redemption games, which are ticket earning, will yield a higher profit. Giving a yearly new game budget and keep abreast of what new games are being released via websites of manufacturers and trade shows, and you try to budget out which games you will get related to the amount of money available to spend. You can also consider how games have depreciated and those that must be replaced, all the while keeping an eye on the split between redemption and non-redemption. 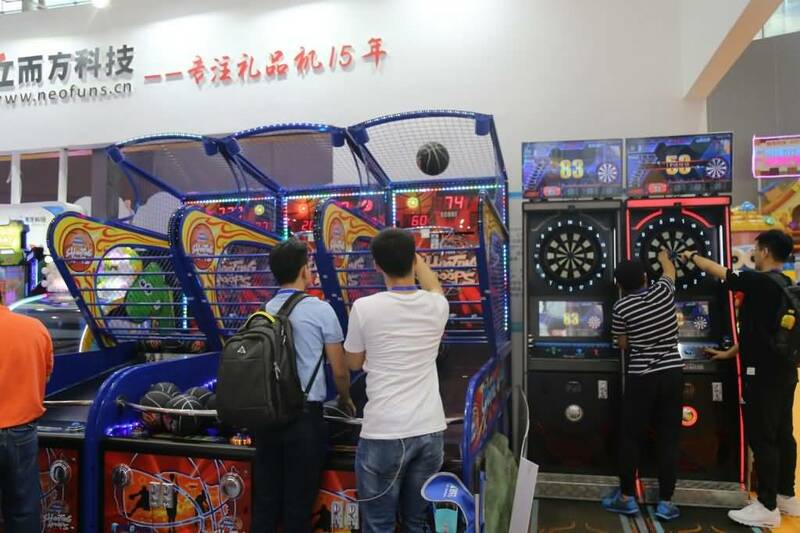 Family Fun Center has a lot of regional competition, the operator checks out what games other centers are housing, and tends to buy those, too, mostly to keep customers from visiting other arcades. The operator also charged with selecting prizes for popular claw games, choosing them based on product branding. 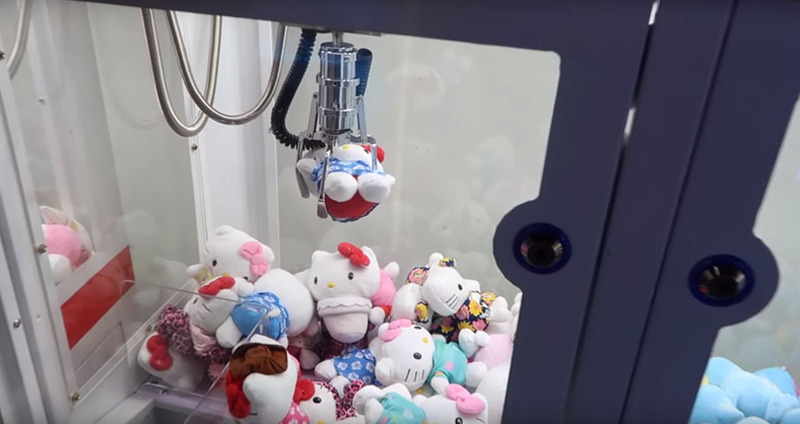 In operator’s experience, claw games with a licensed product of, say, a recent movie like Minions, will attract more repeat play. Therefore, we will spend the extra money it costs to buy licensed items in order to give our customers a better quality product. So many places fill their crane and claw games with generic plush with maybe only a small percentage of licensed material, but not us. Prizes for the redemption counter are purchased similarly. But about 75 percent of prizes that are redeemed by customer tickets are of the smaller variety and under a $1-$2 cost to the center. But he said product branding is very important to prize purchasing. Also important is having a variety of options for both boys and girls. Ideally, unisex prizes are the best. Prize redemption counters must be full of options in each price point for the guest (100, 200, 300 ticket amounts). A prize counter should somewhat resemble a grocery store with packed shelves and lots of options. Something to keep in mind regarding types of prizes that attract the most play is the city and state laws governing the number of money arcades are allowed to spend on the ticket -redeemed prizes. The family fun centers may be focused on skating and laser tag, but they also have a wide selection of arcade games. Big Bass Wheel has a commanding presence and the little ones are fascinated by that. Wack and Win and Down the Clown both tend to appeal more to adults. They are reminiscent of carnival games of skill rather than chance. Therefore a wider age range of people play these games. Like many other arcades, the most popular (and profitable) game on the floor now is tied to Hollywood. Jurassic Park is so successful because you can charge a premium for it, but it still appeals to a wide age range of people to keep on playing.